Some people are just downright clever. They know how to go the extra mile. To always be one step ahead of everyone else. To see solutions where there are none. And what makes them so unique? Their ability to seize each opportunity that comes knocking, and their willingness to realize their full potential. They want to fly, to succeed and to monetize their time. Inspiring, isn’t it? One of the tactics that these smart individuals employ is to undertake as many ventures as they possibly can while they are in their prime of age. 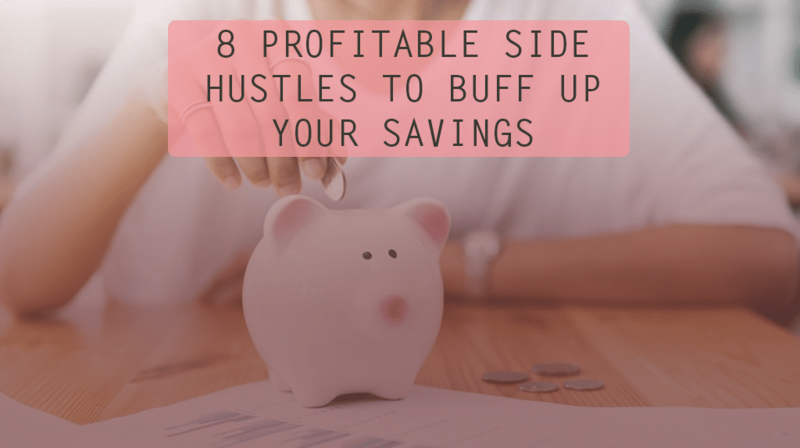 This includes managing more than one side hustle, alongside the full-time 9 to 5 job. Yes, this effective utilization of their spare time keeps them above the vicious economic circle and allows them to save some money. Plus, it brings diversity in their income and gives them a chance to plan a lavish future. According to the Intuit 2020 Report, nearly one-third of the whole US workforce engages in such freelancing activities, and this number is only expected to grow with the advancing years. So, what kind of side hustle can you hope to indulge in while maintaining your career? Check out some of the best ideas below. Orchestrating a wedding is nothing short of a herculean task for both the parties involved. What with all the event planning and guest inviting, a helping hand is a blessing for the bride and groom. You can step into this management role and actually make loads of bucks through it. Truth be told, the wedding industry is a thriving one. Start your initiative, name your brand, market it effectively online, get a hold of credible vendors and reach out to the clients via a reliable internet connection, as acquired from those amazing Cox internet plans. A friend of mine makes up to $14,000 a year through his wedding planning venture while juggling a full-time job. People are always looking for expertise on the web regarding things that trouble them on a daily basis. 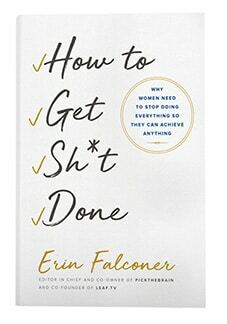 Whether it is something as simple as a particularly stubborn recipe, or something as paramount as the mental health issue—if you have the necessary skill to help people tackle with these conundrums, I say utilize it. Create a forum on the web and start reaching out to people. Apply for a certification on the side, and raise the rate per session. This is a good side hustle, which could potentially develop into a career. Plus, the counselling/tutoring business is a pretty flexible one, given its online nature and the large pool of people looking for advice on the web. Do give it a try. Hosting sites like Tutor.com or Chegg allows educators to earn around $20 to $25 per session. After services, let us come to goods. If you have a penchant for selling products either of your own making or someone else’s, then I would suggest that you convert this talent into a side hustle. There are proper online marketplaces for this purpose. For instance, a friend of mine has been selling a variety of items on eBay for over nine years, and due to his established credibility, he makes around $600 per month through this. How cool is that!? Ridesharing services are wildly popular these days due to the massive locomotive convenience they provide to the people. According to Glassdoor, the average base salary of an Uber driver is $43,293/yr, while that of a Lyft driver is $38,247/yr. Meaning, it is a great opportunity for saving some money on the side. Moreover, all you would need to do is apply for the position, install the app and complete as many rides as you can successfully. Large-scale organizations have multiple operations to take care of in a matter of minutes. They need all the help they can get to take some of those time-consuming tasks off their shoulders. This is where virtual assistants come in handy. If you have good organizational and management skills, then you can totally do this side job for a flourishing business. As most of the proceedings will be done online, you’d need not worry about your physical presence. FYI, Payscale records the salary of an average virtual assistant to be around $15.57 per hour. Instagram and Snapchat are all the rage these days, especially with young adults. These platforms allow them to express their uniqueness and marvel at the lifestyle of their idols. You can totally take advantage of this trend. Start a travel or fashion blog/vlog/podcast or something in this line. Optimize it with paid or SEO marketing strategies to become the next viral sensation. Once you have built up a sizeable fan following, you will start earning money. Trust me. A popular food blogging friend of mine makes $18,000 a year through this side hustle of hers. The travelling community is all in praise for accommodation services like Airbnb and Couchsurfing. Why shouldn’t they be? These firms make budget-travel look like a piece of cake. You can take advantage of their rising popularity by hosting your home on rent over Airbnb. It is quite easy. Just make an account on this secure site, apply for hosting, decide your availability and your rates, sign the T&C and welcome your first guest. Depending on your location, you can earn as much as $924 per month, according to an entry in Reader’s Digest. If your regular day job is an awfully bland one like typing data into computers, then you can find an outlet for your creative soul through a nice side hustle. One that many people recommend is ‘Children’s Literature’. This field is an eternal one. So, if you invest in this, you won’t regret it. Compose an amazing, out-of-the-box children’s book, get it published online and put it up on Amazon after creating its hype on the social media platforms, and then wait for the profits to roll in. In conclusion, if you give these side hustles a shot, then you will surely earn a wonderful financial stability in days to come. Born in Lincolnshire, Illinois and moving past all hurdles that came her way to NYC – Sage has seen it all. Rekt the world with her ‘been there and done that’ attitude and showed nothing but compassion to animals and plants. Owning 3 cats, at the moment, she wants to open an animal sanctuary in time alongside pushing forth her writing career. Sage works as a digital marketer and is loved not just as the human she is but also because of her work and passion. Definitely not the content I expect from Pick The Brain. Did this writer just pick 8 random job titles…make that 7, because home renter is not a job, and churn out some crap SEO-ish descriptions. Actually, let’s make that 6, because you can’t just “decide” to be an “Influential Blogger.” Blogger? Sure. But just because you think you’re influential doesn’t mean anyone else will. I could go on but what’s the point. Just came across your comments. a) Would be awesome if you’d have the courtesy to write the comments with your own names so we’d know who’s fake and who’s not. b) These are achievable in my opinion because no huge acorn tree ever became one directly. These are real life examples that I came across. You are all entitled to your opinions, however. No need to shi*post, thou. c) If you have better ideas be sure to let me know so I’d add them in my upcoming articles.